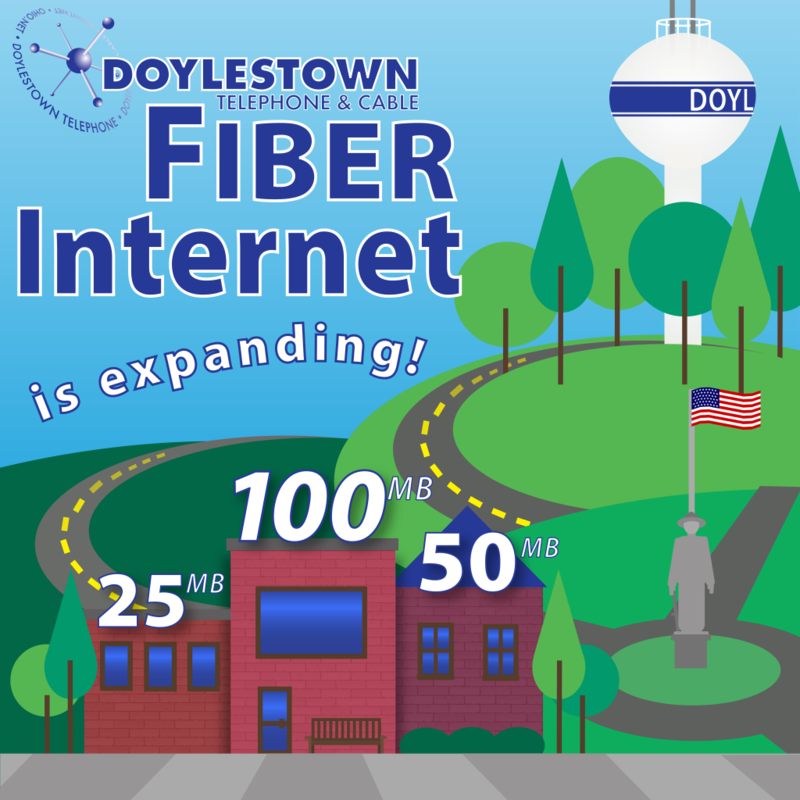 We’re bringing Fiber to the Hometown! Haven’t made the switch to Fiber yet? Now’s the time! NEW Fiber Internet speeds are available: 25, 50, & 100MB! Homes, businesses, apartments- we want everyone to have the opportunity for a fast, reliable internet connection. Fiber not only provides you with the benefit of high-speed internet, but increases the value of your home. A fiber internet connection is a huge selling point for potential tenants, as well. Installing fiber involves removing out-dated copper wires and replacing them with a fiber line. The process is easy, unobtrusive, and FREE. There are no costs for either the installation or the service visit. Is Fiber really that much better than traditional copper wires? The answer is yes. Fiber not only provides a more reliable connection, but is capable of delivering higher speeds as well. Installing fiber also means saving time and money on service calls, as fiber is able to be worked on remotely. I live in a rental property, can I still get fiber? For those who are renting and interested in getting fiber, please call customer service at 330.658.2121. Customer service will be able to identify whether your building has already given permission for fiber installs, or whether they will need to get in contact with the property owner for permission. Please note that fiber is not available to all locations.To see if your location can receive fiber, please call 330.658.2121.